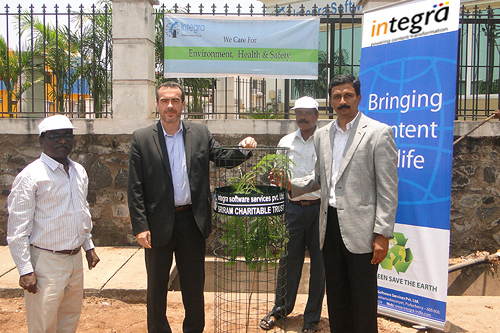 Integra along with Sriram Charitable trust is involved in creating awareness on environment conservation. 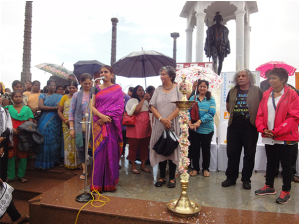 In this regard it has initiated a massive drive to plant trees along the East Coast Road in Pondicherry from Rajiv Gandhi Statue junction to Shivaji Statue junction a distance of three kilo meters with the Government approval. The French Consulate General Mr. Pierre Fournier in the presence of Sriram Subramanya – Founder, Managing Director and CEO, Integra Software Services Pvt. 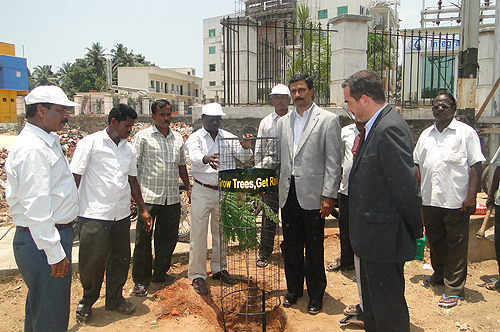 Ltd. initiated the tree planting drive on 22nd April 2010. 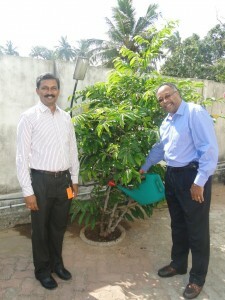 Integra along with the trust will contribute the 300 samplings to be planted.